At first glance, this may seem like a crazy idea. Why would anyone who is trying to raise money wash cars for free? But this youth fundraiser has the potential to earn a lot more money than the regular car wash if you have enthusiastic volunteers. This works exactly like a regular car wash fundraiser, but rather than charging for each car that comes through, have your youth group volunteers solicit pledges from friends, family, neighbors and businesses for a small amount for each car that the volunteer participates in washing. To illustrate the earnings difference between the two, let’s look at a simple example of each type. For the sake of simplicity, we’ll look at the money from the cars only and ignore expenses, which should be approximately the same for both. Let’s say you have twenty volunteers, and over the course of a couple of hours, your fundraising group is able to wash 30 cars. Your group decides to charge each car $5.00 for your expert cleaning. So, your group gets $150.00 for the day ($5/car x 30 cars = $150). Imagine how much more your fundraising group would make if you washed more cars or charged more per pledge. In addition to the money you group makes from pledges, you can tell each customer about your fundraiser and ask for donations. Most people will contribute something out of a sense of obligation since they’re getting their cars washed for free. On top of the pledges and donations, you can still get sponsors to provide the supplies or the signs, as you would with a regular car wash fundraiser. And, of course, you can still sell refreshments too. 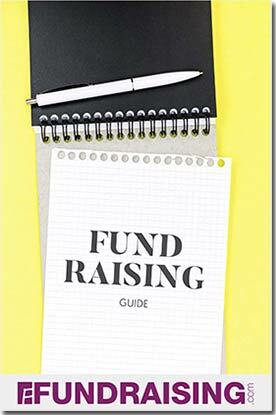 Here’s a free book about car wash fundraisers that you can download (in .pdf format) or read online that covers just about everything you will ever need to know about the subject.